With the recent Captain Marvel being released and the excitement of Avengers: End Game coming up, we KNOW all you Marvel fans are gearing up to get your favorite characters all ready for those cosplay conventions! So we have a few suggestions for you! The newest hero introduced! Whether you want to be the comic book version of Captain Marvel or Brie Larson's fantastic version, we have both covered! 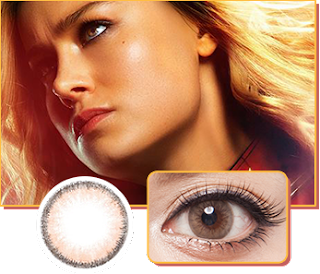 For brown lenses, try the Princess Pinky Cloudy Light Brown and for blue eyes such as the EOS Bubble Blue colored contacts. 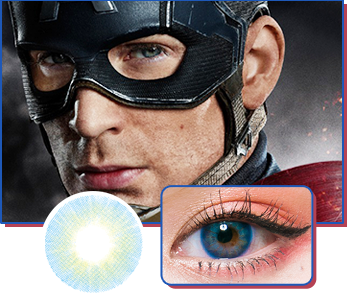 Those beautiful, blue, Chris Evans eyes! How we love him as Captain America! Whatever happens in End Game, Captain America will always live on through your cosplays! 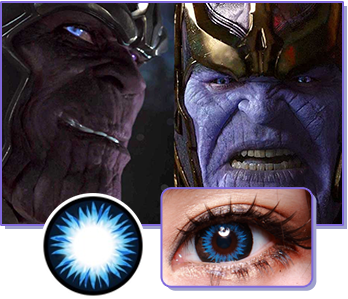 Try these blue lenses such as Princess Pinky Frosty Blue or the Princess Pinky Sensual Blue to match his blue eyes! Chris Hemsworth also has stunning blue eyes but as Thor, he does change his eyes depending on the scenario, especially in Thor Ragnarok (cue Immigrant Song)! The Princess Pinky Cosplay White Mesh lenses or the Phantasee Glow UV Electric Blue are perfect for this scene! 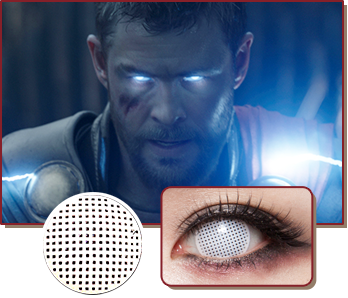 Want your Thor to have Heimdall's eyes? Don't fret as the Princess Pinky Cosplay Orange Werewolf contacts would be the best! 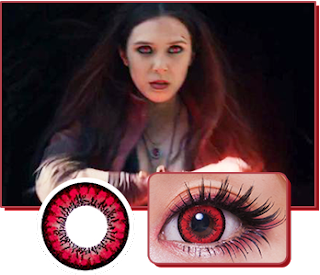 Scarlet Witch is one of the most powerful Avengers don't you agree? Played by the talented Elizabeth Olsen, Scarlet Witch has become a popular cosplay character to portray. Wanda has natural blue eyes and colored contacts such as the G&G Big Size Circle Blue work amazingly well. if you want to portray Wanda whilst she is in fight mode, the Vassen Dolly Plus Red lenses are perfect! We of course have to mention one of the best villains in the Avengers world and who better then the God of mischief, Loki! Now you can get Tom Hiddleston's dreamy green eyes! 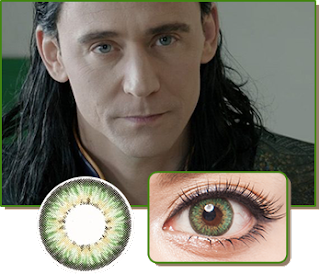 Try the Princess Pinky Frosty Green or the G&G Shinny Green colored contacts. The biggest and most powerful villain The Avengers have had to face. After Infinity War, Thanos, played by Josh Brolin, left everyone feeling devastated! We had to include the Titan himself with his own special lenses named after him, the Phantasee Thanos Sclera Lenses! If sclera lenses aren't your thing, don't worry as you can use the GEO Xtra WBS 202 Bella Blue colored contacts. Whatever it takes, enjoy all the Marvel characters you love and don't forget to tag us in your fantastic cosplays!